March 7th in Theme Lists, WordPress Themes by Wordpress Jedi . Raakbookoo: this theme has a responsive design, interactive sliders, and a mega menu system. It is retina-ready and highly customizable. 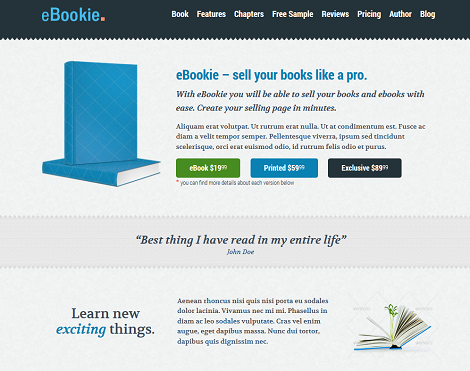 eBookie: a book landing page theme with a responsive, retina-ready design, unlimited colors, and touch-enabled galleries. You also get a book cover creator. 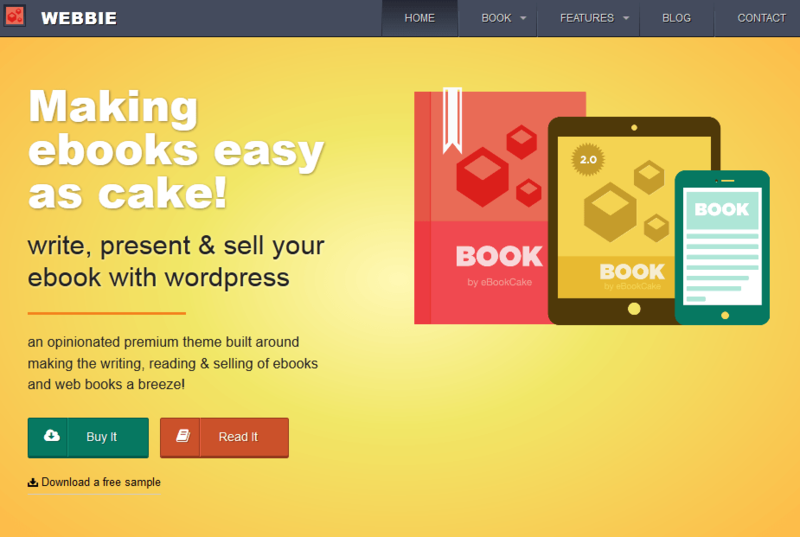 Webbie: designed for authors and e-book marketers. It features keyboard navigation, distraction-free reading, and support for Easy Digital Downloads. 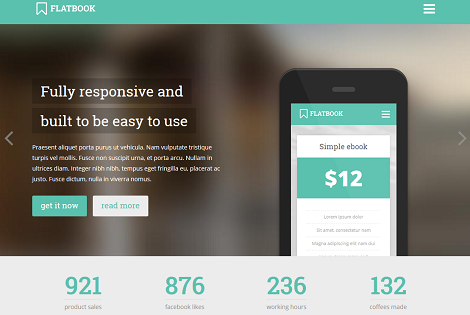 FlatBook: a responsive e-book landing page theme with a flat design. 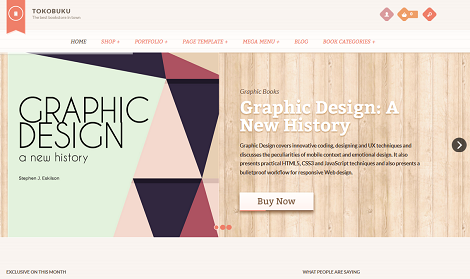 It has a one-page layout, MailChimp integration, 2 menu layouts, drag & drop content builders, and more. 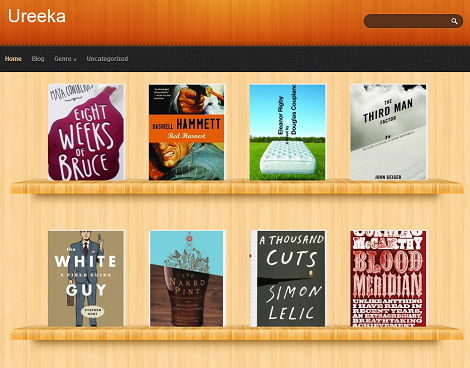 Ureeka: a decent theme for book review sites. The design is inspired by the iBooks app. You get to run a book showcase or blog on the front-page of your site. 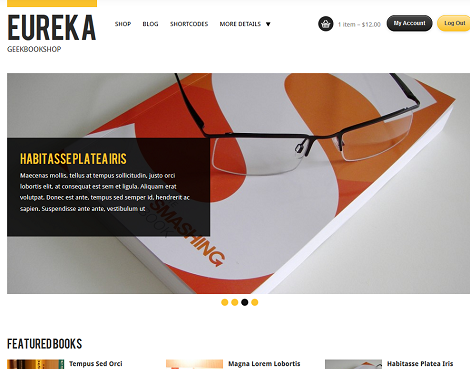 Eureka: a minimalist theme for online bookshops. It supports WP e-Commerce, Jigoshop, and WooCommerce. 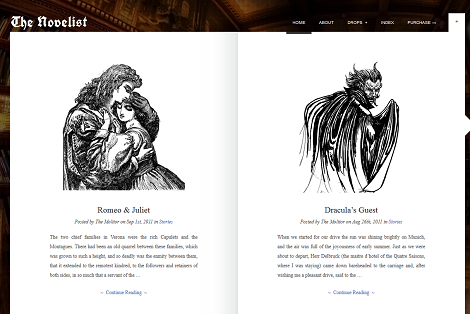 Novelist: this theme is designed for authors to showcase their work online. It offers full-screen image backgrounds, easy logo customization, Google fonts supports, and more. The theme is optimized for smartphones and tablets. You don’t necessarily need these themes to sell your e-books online, but they do help you set up your e-book sites faster. Have you found better e-book landing page themes? Please share them here.